The Walking Dead Season 7 Episode 3 Live Streaming Watch Online TWD 7×3: The fans saw two different twists in the first two episodes of the seventh installment of this tv series. In the premiere episode, Glenn and Abraham were killed, and that shattered Rick and Alexandrians. In the second episode, we got to saw the introduction of King Ezekiel and his thriving survivor society. Also, there was a hint indicating that he and Carol are romancing. The upcoming episode titled ‘The Cell’ can be watched on amc.com (only in the US). The zombie horror series airs every Sunday night on AMC. Tonight’s episode will emphasize Daryl who has been captured by Negan and is in prison. The promo clips released revealed that the Savior henchman is going to play some mind games with the crossbow warrior. It looks like he has got a big role to play and set him free. Watch: The Kapil Sharma Show 6th November 2016. In the meantime, Reedus’s character will never forgive himself for the death of Glenn. He has put all of the weight on his shoulders and carrying it with him and take full responsibility. While, Rick is fractured, broken, and bereaved. His team is working on to pick up pieces under Negan. Andrew Lincoln said that Rick is filled with guilt for making bad decisions. Check: Koffee With Karan Season 5 Episode 1. In another interview, he had revealed that Rick Grimes always feels the burden of guilt and it comes with the package to him. He takes responsibilities very seriously. It makes people want to fall in behind. This is both his weakness and strength. Also, it is shattering from inside. The British actor also said that in this season, he would deal with trauma and rebuilding as the road about to come tough to walk on. People should remember this only as this is where we begin after the quake. Also: MTV EMA 2016 Winners List. 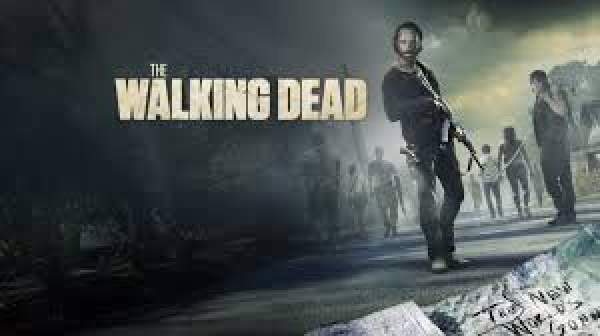 Stay tuned to The Reporter Times for latest The Walking Dead news and other TV series updates across the globe.